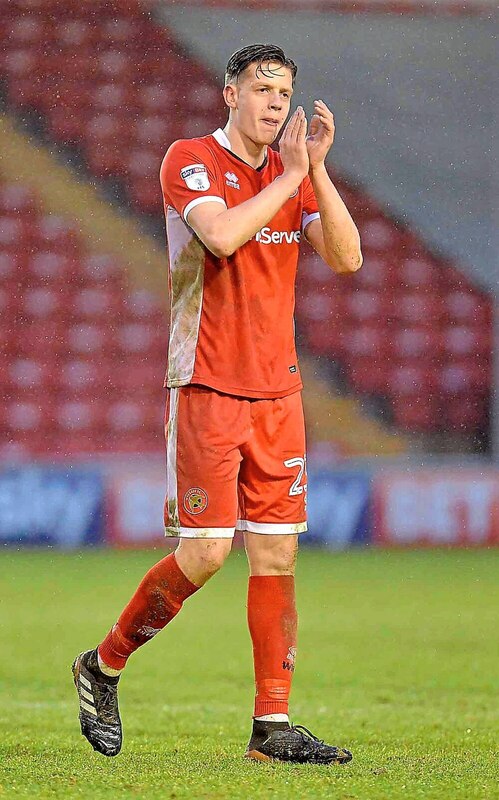 Jack Fitzwater insists Walsall cannot afford to rest on their laurels as they prepare for another crunch clash at Blackpool. The Saddlers secured a crucial 1-0 victory over MK Dons on Saturday in a match billed as a relegation six-pointer in League One. This weekend they travel to take on another struggling side with Blackpool currently sat 19th in the table. And Fitzwater, who made his Walsall debut in the win over the Dons, says the players are well aware it’s another massive game. “It’s another six-pointer,” the defender said. “MK Dons was a big victory. We knew it was a pressure game. “So to get the three points and a clean sheet was important for the team and a great way for me to start. Fitzwater, who joined the Saddlers on loan from Albion on deadline day, impressed on his debut and was named sponsors’ man of the match. The 20-year-old has previously enjoyed temporary spells at Chesterfield and Hednesford and spent the first part of this season at Forest Green. And he is determined to prove in his time at the Banks’s Stadium that he is good enough to play in League One. “I have learnt a lot from all my loan spells,” the 20-year-old continued. “I went to Chesterfield a few years ago but I didn’t play much. I played one game but it gave me an idea what League One was about. “Hednesford helped me again. It’s crucial to get that experience of playing in front of supporters at 3pm on a Saturday. It’s different to under-23 football. “At Albion I am always getting advice from Darren Moore (first-team coach) and Jimmy Shan (under-23s boss) and Mark Harrison the academy manager. “They said I have earned the right to go out on loan and they want me to express myself. “From meetings I have had, they think I have ticked the box for League Two and I think I have ticked that box as well. Fitzwater is the third Albion player to join the Saddlers on loan this season with Tyler Roberts and Shaun Donnellan also enjoying spells at the Banks’s. “I spoke to them both and they each said they really enjoyed their time here,” Fitzwater continued. “They were grateful to be given the chance to play football. “Now I’m here but I’ve not signed to just sit back and watch.